used Tahiti content to entertain followers on social channels. 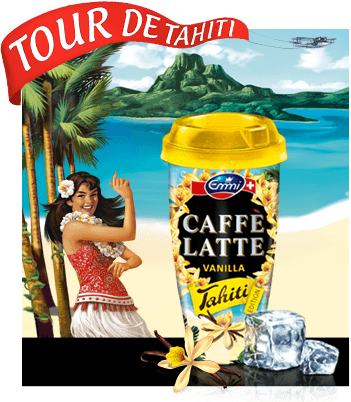 We took the community on the „Tour de Tahiti“: a ten-week competition with weekly tasks around Tahiti and the vanilla flavour. Have a look at the execution in our slideshare presentation or download the „Tour de Tahiti“ campaign presentation as pdf. A central element of the „Tour de Tahiti“ campaign was the video content. Each weekly task was based on a new video while the intro trailer and the campaign video provided the basic facts.